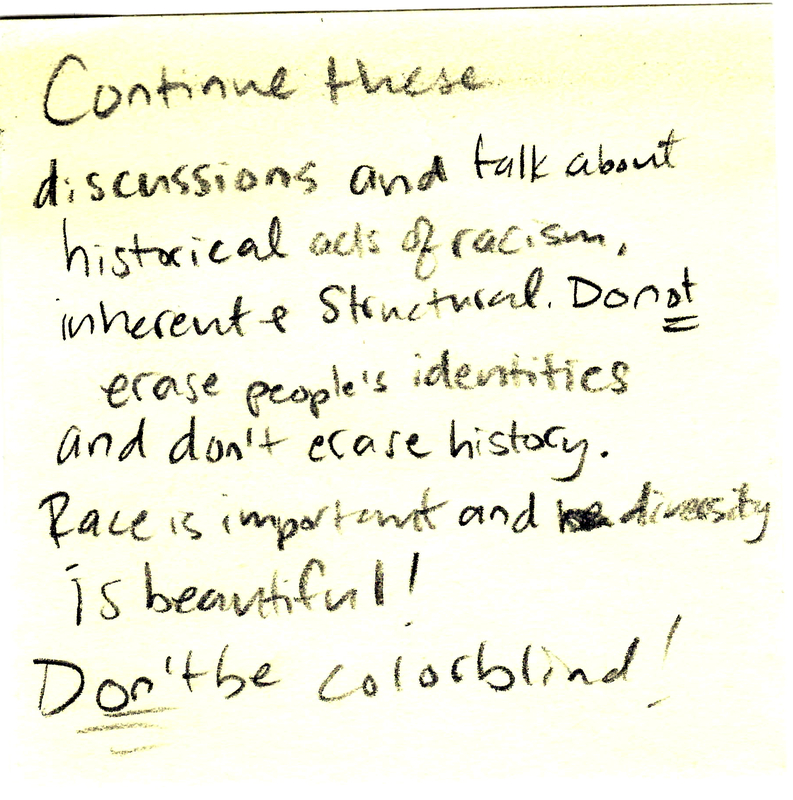 Continue these discussions and talk about historical acts of racism, inherent + structural. Do not erase people's identities and don't erase history. Race is important and diversity is beautiful! Don't be colorblind! 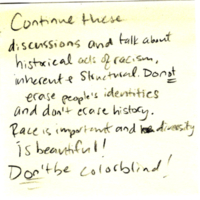 “Sticky Note 26,” Redlining Virginia, accessed April 21, 2019, http://redliningvirginia.org/items/show/46.